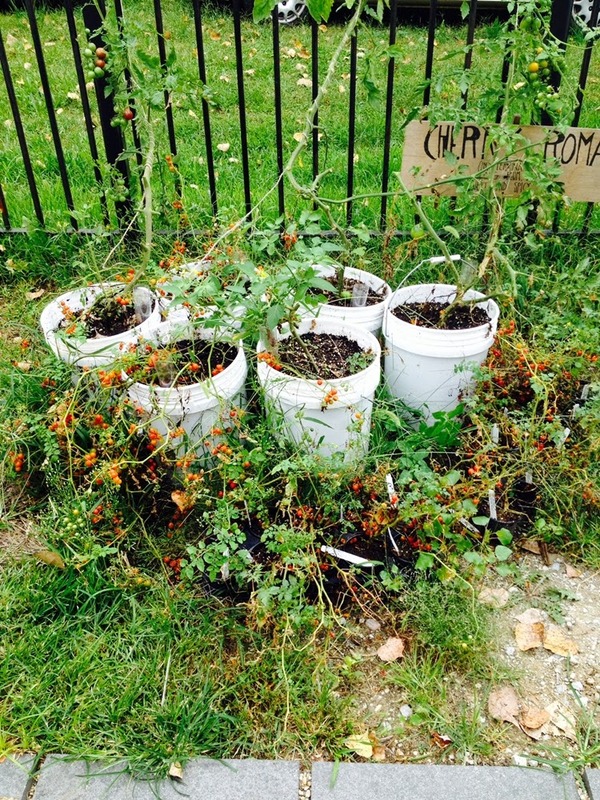 The Sweet Pea Currant Tomatoes are dwindling as the season ends. We had an abundant July and August with hundreds of tomatoes, mostly cherry-sized, but also a few larger like the Indigo Rose. Between the neighbors and the squirrels, the vines are nearly clear of fruits. Yes, some of these warm days are turning the final green tomatoes red. We have started bring some of the herbs inside for trade. We have also started some firecracker vines from seeds harvested last year.